When people take their doggie out for a walk, they often hear their doggie howling at sirens, when an ambulance passed by. By then, they keep pondering over the reason why do dogs howl at sirens? It looks like our pets are afraid of the sound. Usually, ambulance siren releases high-frequency sound waves that are high pitched, loud enough to frighten our doggie. But, is it their instinct to howl? Or have they retained the tendency of wild wolves who are their ancestors? To know the answer to this question, we must dive into many research papers and talk to our doggie’s vet. 4. Does Siren Sound Irritate Your Pet? Do All Dogs Howl at Sirens? How to Make Them Stop Howling? Present day dogs are the real descendants of wolves who howl when they sense danger. During ancient times, wolves, including dogs, lived in packs in dense forests. They were at constant risk of attack by wild animals. Therefore, they howl at such a great sound that their fellow canines at great distances could hear it. Their resonating sound brought back the lost members of their pack. According to Doug Smith, senior wildlife biologist, they howl when their enemies are about to attack their territory. To alert fellow members of danger, and to bring them together to help them stay safe. For maintaining a good relationship with other wolves or dogs, they howl. Even though it sounds awkward for us, they are trying to help and talk with each other when they yell. When it is the denning season in wild canids, they don’t howl at all. They maintain absolute silence to give birth to and raise their pups. The reason, most likely, may be due to the security reasons of their newborns. To protect them from predators, the wild dogs don’t howl. This way, they keep the intruders away from their territory. It is an excellent way to maintain the integrity of their family members. From time immemorial, these canine pets maintain a strong relationship with their caregiver. When they want to say something; they raise their cheek, look up, and howl at an alarming sound. Next time, when you hear your pet howling, understand they are trying to communicate with you! If you have Alaskan malamutes or Siberian Huskies as a pet, you will feel some wolf has sneaked in for a hunt. The siren sound hardly affects your pet’s ears. Their ears can tolerate higher sounds than human ears. They endure up to 40 cycles per second, which is double the hearing threshold of humans. While we close our ears at the siren sound, they get excited to such a loud noise. The reason why your doggie howls could be the possible sickness. If you find your doggie is howling all the time, consider it as a sign of illness, or maybe your dog is hurt. Thoroughly examine your pet. If you can’t find anything unusual, seek the help of a vet. He would test the pet, and tell you what is wrong with your pet. If you leave for work for long hours or go for a picnic and return late, you can see your pet howling than usual. Have you ever wondered what it is? It is separation anxiety. If they get separated from their owners or fellow members for a long time, they become worried and start to howl. Their tendency to yell sets. If the dog is sad and starts screaming, look out. This instinct is usually associated with a destroying tendency, and the dog will make your house dirty or pull out the plants in your beautiful garden. If that is the case, make conscious efforts to tell him that you love him, and make him feel comfortable. Another reason why your pet howls is that he is trying to drive the danger out, and protect you. They think, by howling, they give signals that can help to protect you. Since you are the pet owner, you are their Alpha or their group leader. According to them, they are doing a heroic deed of guessing the signs of danger in advance and intimating you to take precautions for it. They tell you that something strange is happening in the next door and advises you to be careful. That’s all. 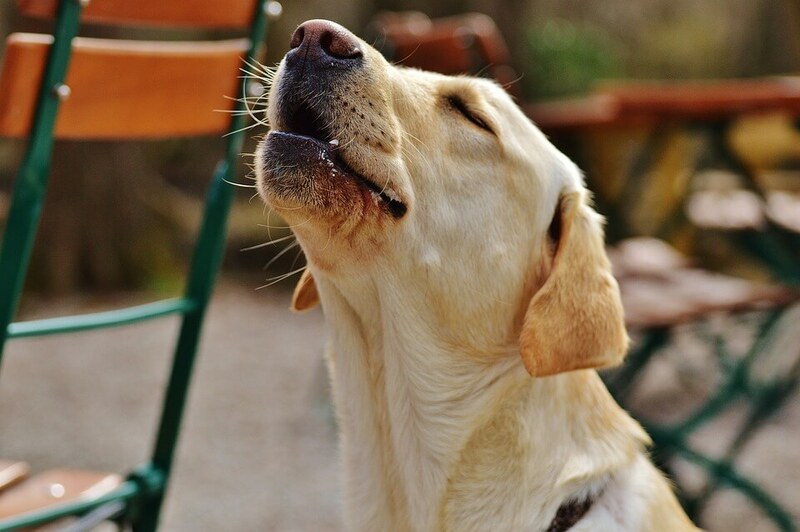 Sometimes, your pet may howl because of mood swings or behavioral problems. Thus, when you watch your dog becoming aggressive during certain times, instead of raising your voice, divert the attention, giving her some toys she can play with. It will help your faithful Fido to calm down immediately. You can seek dog trainer’s help to solve the behavioral issues with your dog. Not all dogs howl at sirens. Some presume the resonating sound of a siren to be a member of their canine group trying to connect with them from a distance. So, they get excited and reply the sound by howling. Some think that their Alpha (Pet owner) is capable enough to take care of them well. They are in the safe zone and don’t respond to the police van or ambulance siren. Ignore his cry: When he howls, ask him not to do it. Don’t listen to him or try to communicate when he yells. Training: Train him to talk or haul with your permission. Make your dog understand that he should bark or howl when you give a hint. Give him an extra bone or food for staying quiet. In short, it is the basic instinct of canine creatures to howl when they hear something strange. They are giving hints of danger to their companions. When they try to talk to each other or humans, they yell, out of excitement. If they howl for longer durations, take it seriously. Consult a vet to figure out what is wrong with her. Are Dogs Allowed in Walmart?